CLAYTON, Mo. 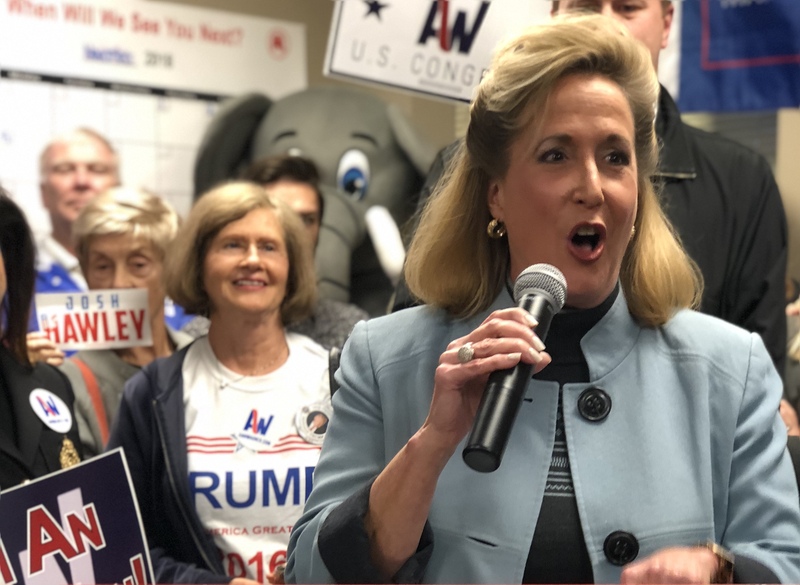 – Republican incumbent Ann Wagner won re-election for her fourth term in a tight race against Democrat Cort VanOstran in Missouri’s 2nd Congressional District. During the last days leading up to Tuesday’s election, Wagner and VanOstran made appearances at rallies in support of their party’s Senate candidates. Polls continued to fluctuate between the two on determining who was going to win the House seat. After 100 percent of the precincts reported, Wagner gained 51.3 percent of the vote with VanOstran bringing in 47.1 percent while 1.1 percent cast a ballot for Libertarian Larry A. Kirk and 0.5 percent for Green Party candidate David Justus Arnold. The seat has long since been Republican. However, results showed with nearly 10 precincts reported, VanOstran was in the lead with 50 percent of the vote to Wagner’s 48.5 percent. The race continued to stay neck-and-neck throughout the night. Once all 463 precincts were reported, it was determined that the seat would stay red. Missouri GOP congratulated Wagner on her hard-fought win shortly after results were announced. Nuelle said that MOGOP is thrilled to have Wagner back in Congress and back working for the people of Missouri.